New tooling reproduction. Accurately stamped from OE gauge steel. 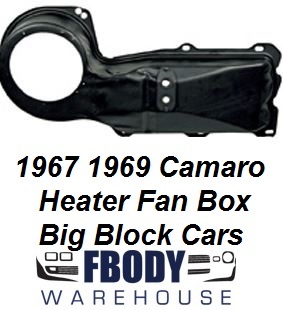 Includes installed correct reproduction heater tube cover plate, seal and special hardware. Firewall block-off seal included. Gloss black painted. Also fits 1970 Nova models as well.